Are you planning to take a bus around Dublin? The good news first—it's generally a great experience to explore Dublin by bus, and the city's public transportation system is fairly easy to master if you know all the rules. However, taking a Dublin bus does have its pitfalls. While the tales of tourists abandoned in the middle of nowhere in pitch darkness and having to fight their way back into Dublin are usually exaggerated, there might be some truth hidden in the fiction. 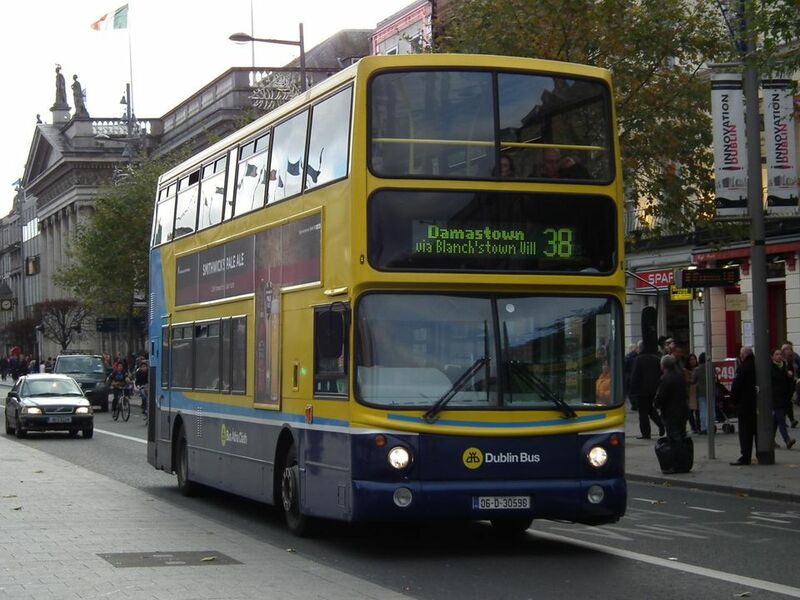 Avoid any trouble by following this guide to Dublin buses. Go the old school route, and find the office of Dublin Bus on O'Connell Street to ask for a good map that outlines the city bus routes. The bus maps are free so you should get one as soon as possible. Alternatively, visit the website of Dublin Bus and search their route planner to know which bus to take—however, keep in mind that you need to know the street names of your planned starting and ending destination. Once you have a map, you will be able to quickly identify the routes you are most likely to travel—like the ones between your hotel and the city center. You can then go to the Dublin Bus office, and pick up free printed timetables based on the route number. You can also visit its website and download timetables. Note that only major bus stops will display timetables. If you are planning on using the bus regularly and several times a day, you may want to purchase a Leap Card, which can be used on several private bus services. These services include the LUAS, the DART, and even the Suburban Rail Network. If you don't use a Leap Card, be prepared to carry change. You can buy Dublin bus tickets when you board the bus, but drivers will only accept the correct fare in cash. You are allowed to overpay, but no change is given on the bus; instead, you get a slip enabling you to redeem the excess in the O'Connell Street office. Drivers are at times very reluctant to accept paper money at all, so keep your coins ready. You cannot use credit cards. Bus stops are normally identified by a blue "lollypop sign" featuring the Dublin Bus logo (red signs usually mark Bus Eireann stops). In a very minimalistic moment it was decided that any further information is unnecessary at most stops, so don't expect to find any information boards, timetables, or even route maps. (This is why gathering that information at the Dublin Bus office or website is even more important). Many modernized bus stops now show the approximate time at which the next bus will arrive. You can view that information on an LCD display. The Irish drive on the left—which may lead to confusion if you are coming from continental Europe or the Americas. Your normal sense of direction may lead you to the wrong side of the road, so instead of catching a bus into the city center you might catch one actually coming from there. People in Ireland will line up in an orderly fashion when boarding a bus, with only ticket holders squeezing past those waiting to pay the driver. Jump the line (called the queue, in Ireland), and you are at the receiving end of withering glances and scathing remarks. Most bus stops serve several routes—so look out for buses approaching, and check the route number that is displayed on the lighted sign on board. Then check the sign. Though usage can be erratic (and downright confusing), it should display the general direction. An Lar is Irish for "city center," As Seirbhis for "out of service, and "bus full" means exactly that. Take note that some routes are split into A, B, and C sub-routes, running parallel for some time and then splitting dramatically. If you are on a 38C route and should be on a 38A route, you might as well have taken the fast service to Lhasa. If in doubt, ask the driver whether the bus actually passes your destination before you board the bus. Buses generally do not stop without you requesting it. Unless you clearly signal your intention to board the bus, you will be left standing at the bus stop. Wave down the bus by hailing the driver. And never trust other people to do so—they might be waiting for a different route or simply be loitering. The best piece of advice after entering a Dublin bus is "Find a seat, now!" Buses tend to go quite fast, especially around corners, and older buses tend to lurch. Unless you sit or hold on tight, you might be thrown about. If possible, sit in the front seats of the upper deck of Dublin's double-decker buses—the bird's-eye view is breathtaking. The view is sometimes literal, as drivers tend to prefer coming to a stop just inches away from buses in front of them. Occasional screams of panic from first-time Dublin visitors are the result. Again—buses go full tilt until asked to stop, so this means that the last few hundred yards to your stop can be very quick. And there are no announcements. If in doubt, ask the driver to help you and give you a shout. Most will gladly do so. If you see your stop approaching (or know it is the next one), push the "Stop" button and you will hear a satisfying PING noise. The driver will then slow down when approaching the next stop, giving you time to get to the exit. With Dublin traffic being notorious for drivers ducking in and out of lanes, expect the bus to occasionally swerve and lurch at any time. This is especially dangerous if you are negotiating the stairs from the upper deck downward, so get a good grip. The Dublin Bus office will help you with all inquiries, including property lost or forgotten on the buses. Don't expect miracles, though—many Dubliners adhere to the code of "Finders Keepers."